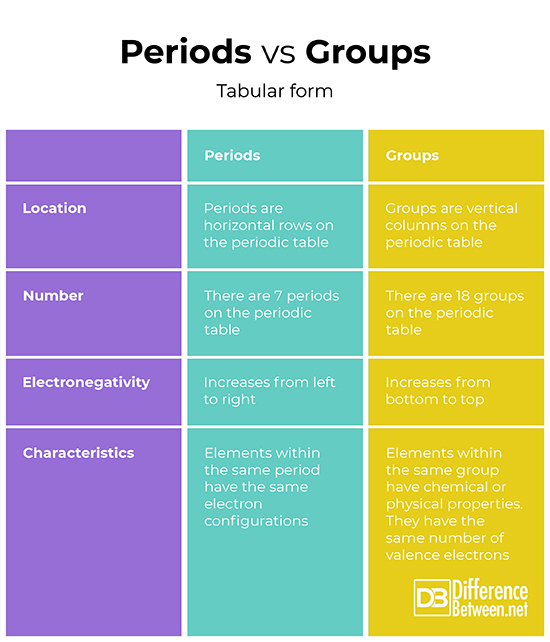 Periods and groups are the two important classifications that ancient chemists used to organize the iconic periodic table into columns and rows. Periods are the horizontal rows while the groups, also called families, are the vertical columns. The elements were arranged into groups and periods based on certain characteristics such as chemical/physical properties for groups and electron configurations for the periods. The article unfolds further differences between the periods and groups. Counting from left to the far right on the periodic table, it is the period. 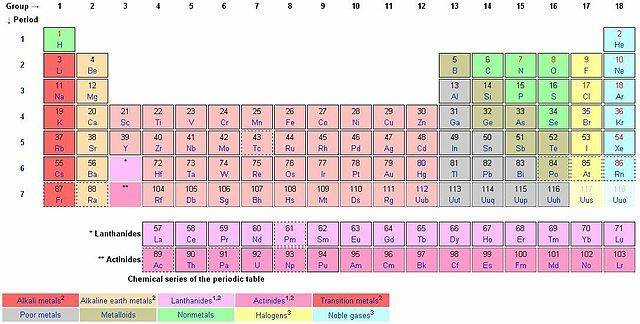 There are typically 7 periods in a periodic table and each period denotes a new energy shell. From hydrogen down to francium in period 7, the elements increase in atomic orbitals. This means the electrons of the element will be represented on a specific number of energy levels in line with the periodic label. Lithium (Li), for instance, has two energy shells because it is in period 2 while potassium (K) has four energy shells since it is in period 4. This trend holds true for all other elements. Within a period, the elements share the outer shell (valence) electrons. For example, hydrogen and helium are in the same group and have one electron in the outer shell. Notice that the first period has only two elements. The second and the third periods have 8 elements each. Periods 4 and 5 each have 18 elements. The periodic table has, in total, 18 groups as per the IUPAC naming system. Periods 6 and 7 are the exceptions as they contain 32 elements in total. This explains why the periodic table is shortened by removing part of period 6 and 7 and displaying right below the periodic table. The periodic would be large if the actinides and lanthanides were not removed. These separated elements are inner transition metals and they fill the f-block in the atomic orbitals. The lanthanides include the elements from 58 through to 71 while the actinides include the elements from 89 through to 103. The other characteristic that the elements within a period shares is an increase in ionization energy. Atoms within a period increase in atomic numbers as more protons are increasingly added. This increases the attraction in the nucleus and it will become relatively hard to remove an electron. The nuclear charge increase across the periodic table. Also, electronegativity increases as you move from left to right across the period. Electron affinity also increases as more electrons are added thus increasing a strong force of attraction with the nucleus. As you count down from top to bottom along the columns, you are counting the groups. The European naming style ꟷ now adopted as the IUPAC naming style, is used to name the groups from 1 through to 18. The US style uses As and Bs. Each of the 18 groups bears a name. For instance, the first group is known as the lithium family (alkali metals), group 2 the beryllium family (alkaline earth metals, group 3 the scandium family, group 4 the titanium family, group 5 the vanadium family, group 6 the chromium family, group 7 the manganese family, group 8 the iron family, group 9 the cobalt family, group 10 the nickel family, group 11 the copper family (coinage metals), group 12 the zinc family (volatile metals), group 13 the boron family (icoasagens), group 14 carbon family (crystallogens, tetrels), group 15 the nitrogen family (pentels), group 16 the oxygen family (chalcogens), group 17 the fluorine family (halogens), and group 18 the helium or neon family (noble gases). The elements within a group share chemical or physical properties. Group 18, for example, is referred to as noble gases. They are non-reactive with any other elements. The octet rule of 8 electrons in the outer shell applies perfectly to the noble gases. All other elements strive to achieve the octet rule. Hydrogen does not follow the octet rule and so is helium although it is stable and part of the noble gases. 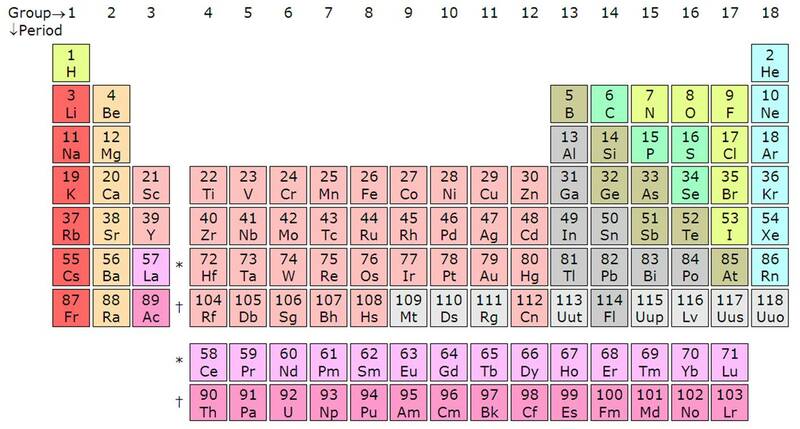 Period table has a mix of metals, non-metals and metalloids (semimetals). There is a certain grouping elements according to their similar properties and these include alkali metals, alkaline earth metals, transition metals (lanthanides, rare earth metals and actinides), nonmetals, metalloids, noble gases, halogens and basic metals. There is also a trend of increasing properties as you down or up the group. As you go up, electron affinity 9electron loving) property increases. When you go down the group, energy shells increase and thus an attraction in the nucleus decreases hence electron affinity decreases as you go down. Electronegative also decreases as you go down the group because of an increase in energy levels down the group. The electrons in the outer shell tend to be far from the nucleus and so the pool decreases. Periods are horizontal rows while the groups are the vertical columns on the periodic table. There are 7 periods and 18 groups. Period 6 and 7 have 32 elements because of the addition of the actinides and lanthanides. Elements in a group share similar chemical or physical properties. They have the same number of valence electrons. On the other hand, elements in the same period share the same electron configuration. Electronegative decreases as you go down the group and increases as you go up due to an increased pull in the nucleus as a result of fewer energy levels. Electronegativity increases as you go from left to right across the period with the addition of more protons as atomic numbers increase. Lusi Madisha. "Difference Between Periods and Groups." DifferenceBetween.net. November 6, 2018 < http://www.differencebetween.net/science/difference-between-periods-and-groups/ >. Kristi Lew, (Aug 2009). The Alkali Metals: Lithium, Sodium, Potassium, Rubidium, Cesium, Francium. The Rosen Publishing Group. Eric R. Scerri (Oct 2011). The Periodic Table: A Very Short Introduction. OUP Oxford.